Another app discovery! Artkive - a clutter-free way to save and enjoy your child's artwork. It is truly genius plus it's FREE! Check it out here. 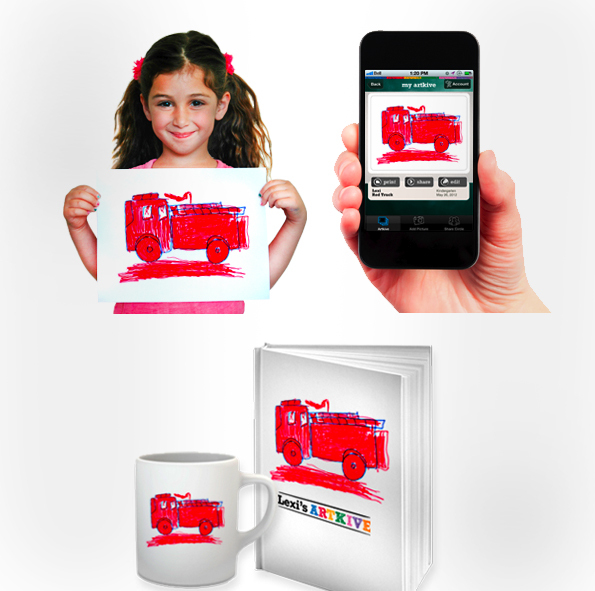 3 Enjoy it: Turn your child's Artkive into a book or other great gifts and keepsakes!